Freedom From Religion Foundation v. Koskinen & Holy Cross Anglican Church. The Becket Fund for Religious Liberty (n.d.). Retrieved from https://www.becketlaw.org/case/freedom-religion-foundation-v-koskinen-holy-cross-anglican-church/. Freedom From Religion Foundation v. Koskinen & Holy Cross Anglican Church. (Apr. 04, 2019). https://www.becketlaw.org/case/freedom-religion-foundation-v-koskinen-holy-cross-anglican-church/. "Freedom From Religion Foundation v. Koskinen & Holy Cross Anglican Church." The Becket Fund for Religious Liberty. Accessed [Apr. 04, 2019]. https://www.becketlaw.org/case/freedom-religion-foundation-v-koskinen-holy-cross-anglican-church/. As a minister with over 25 years of service and a Benedictine abbot, Father Patrick Malone has long been serious about his faith. So when he became the vicar of Holy Cross Anglican Church, Father Malone carried that commitment into preaching how to live as faithful Christians. This includes guiding Holy Cross’s 55 members about seeking justice and protect the disadvantaged in society, especially those who are threatened by unjust laws. To Father Malone and Holy Cross, this requires preaching on issues like abortion and against the politicians and candidates who support abortion. They believe that silence on the sanctity of life, even while remaining true to other Anglican beliefs with fewer public policy implications, would be just as unfaithful to God as churches that preached against gambling in the antebellum South while failing to stand against slavery. Instead, they follow the tradition of their Anglican forbears who preached to reform child labor laws, the slave trade, and prison policies. But the Freedom From Religion Foundation (FFRF) filed a lawsuit demanding that the IRS enforce a law banning Father Malone’s sermons to Holy Cross. While the IRS has long banned sermons that concern political candidates or certain hot-button moral issues, it has generally avoided actually enforcing the ban against churches, likely because it knows that its rules stand on shaky constitutional ground. 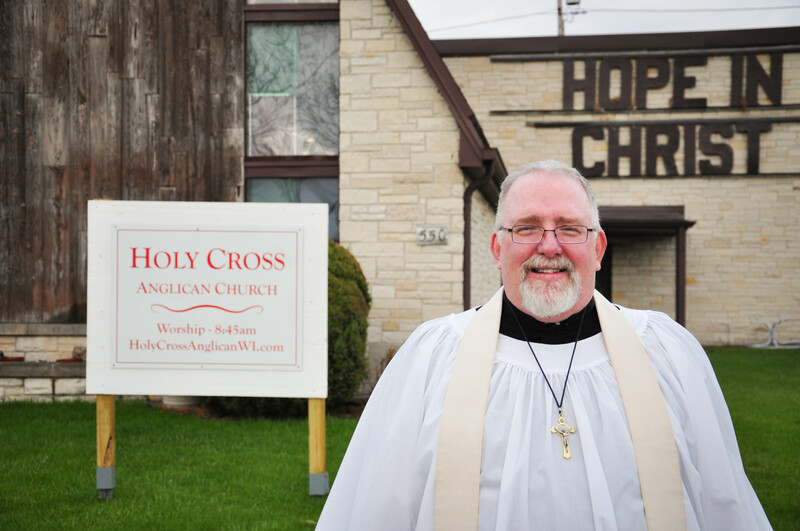 The anti-religious FFRF noticed, and sued in a Wisconsin-based federal district court to force the IRS to start enforcing the ban against churches like Wisconsin-based Holy Cross Anglican. FFRF wanted the IRS to punish Father Malone and the Church for his sermons by imposing regulations that would revoke the Church’s tax-exempt status, involve the IRS in the Church’s finances, and levy fines against both the Church and individual leaders, such as Father Malone. Becket successfully intervened on behalf of Father Malone and Holy Cross to defend their rights to freely preach. While there’s room for religious disagreement over what pastors should preach, those religious decisions should be left to churches, not the IRS or FFRF. This case presented a unique opportunity to defend a church’s right to preach free from IRS censorship. On August 1, 2014, the Court granted FFRF’s request to dismiss its own lawsuit, fleeing from its attempt to use the IRS to censor houses of worship who preach on moral issues with political implications. Is the IRS Going to Censor Sermons at Your Church?